Palmyra Golf Hotel price per day from € 139 . Villa Lantana price per day from € 115 . Hotel Tennis International price per day from € 57 Surrounded by pine trees at the foot of Mont Saint Loup, the Hotel Tennis International boasts easy access to the all the town's facilities from a peaceful location. The Hotel Tennis International offers comfortable rooms equipped with modern amenities such as free Wi-Fi internet access. 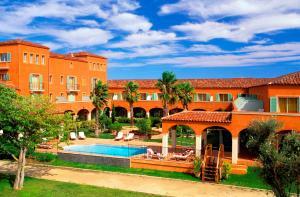 Mercure Hotel Golf Cap d'Agde price per day from € 127 Offering a Spa and Wellness Centre and a restaurant, Mercure Hotel Golf Cap d'Agde is located in Cap d'Agde. The hotel is a 5-minute walk from the beach and the port. The private bathroom comes with a shower or a bath and a hairdryer. 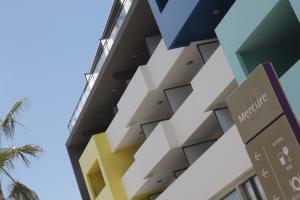 The hotel is 500 metres from Cap d'Agde Golf Course..
Appart'hôtel Odalys Nakâra price per day from € 125 . Aquarium Cap d'Agde, 0.6 km from the centre of town of Le Cap D'agde. Art museum Ephebe, Cap-d'Agde, 0.8 km from the centre of town of Le Cap D'agde. Museum Villa Loupian, Montpellier, 18.2 km from the centre of town of Le Cap D'agde. Art gallery Espace Brassens, Sete, 18.5 km from the centre of town of Le Cap D'agde. Museum Parc des Dinosaures, Montpellier, 19.8 km from the centre of town of Le Cap D'agde. Cathedral Saint-Nazaire von Beziers, Beziers, 25.4 km from the centre of town of Le Cap D'agde. Castle Raissac, Beziers, 27.7 km from the centre of town of Le Cap D'agde. Ski resort Capcir, altitude: 1500m. 73 km from town of Le Cap D'agde. Ski resort Mont Aigoual, number of ski pistes: 15. 95 km from town of Le Cap D'agde.